Swales are commonly used instead of a roadside kerb, nature strip or centre median. 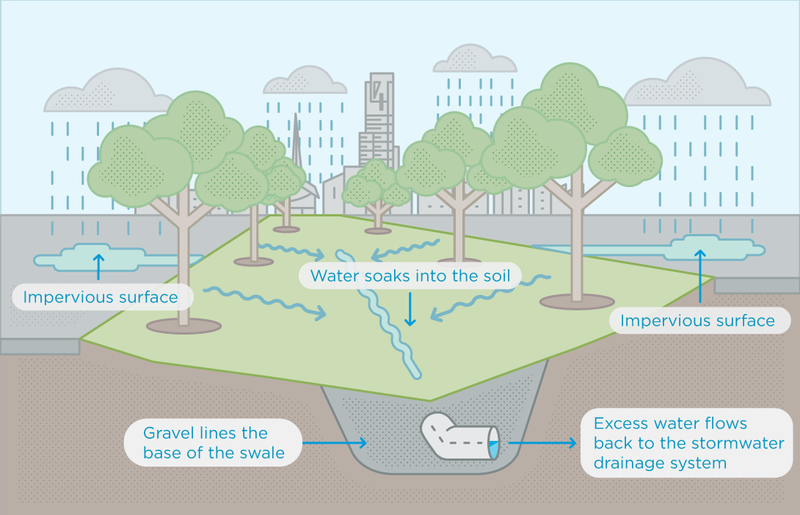 Swales collect and transport water, while also filtering pollution, sediment and nutrients from it. They also slow stormwater flows into drains. Swales channel water through the landscape.